The cards that the DT are sending me are AWESOME!!! I'm getting so excited about the WORLD CARD DAY celebrations we have planned, starting on Oct 1st!! !It's putting me in the Christmas spirit already!!! It's ALMOST making me want to go shopping for Christmas gifts!!! Well, in 3 months time Christmas Day will be winding down by now!!! Yikes, can you believe it!! Here they are, along with the cards they sent in!! Please help me welcome these ladies!!! Can't wait to get started in October!!! Fun things are planned already!!! Read this post! I would like to say a big thank-you to all the ladies that applied. And for those who didn't get on this round, I am hoping you all apply again in DEC as I'll be looking for a new DT for JAN,FEB and MAR!!! Please,please,please apply again!!! Be watching for Oct 1st as this will be the DAY that our first challenge will be posted! Aren't they gorgeous!!! Thanks ladies for allowing me to post them. We're celebrating WORLD CARD DAY!!! Beginning on OCTOBER 1st and ending on World Card Day, October 4th, join me, Tamara and the new design team (their names will be announced tomorrow) RIGHT HERE at CCAYR for some fun card challenges!!! You don't want to miss it!! If you begin participating in OCTOBER, by December ,you'll have 15 cards done! 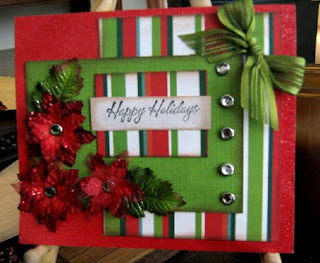 AND...if you continue to participate next year, just think about this...you'll have 60 of your own Christmas cards done and ready to mail out in December to your family and friends! Wow!! !I did this myself this year...I challenged myself to create 5 a month and it's NOT really all that hard to do! Really, it's not! I'm just a few away from my goal as some months I got so into creating themI made more than 5!!! So...are ya in??? If so, let me know by posting a comment here. I want to get some idea of the number of people who will be playing along with us! 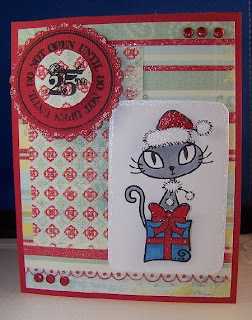 Every month there'll be a draw for a prize, and it will be cardmaking goodies! 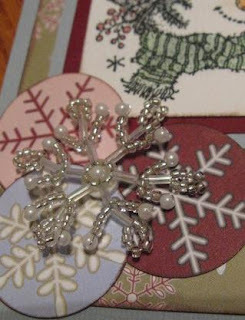 Tamara Soper will be helping me.We'll be working together on this! Can't wait to hear from you as to whether you'll be participating. And, don't forget, if you'd like a DT position for 3 months (Oct-Dec), check out this post for details! 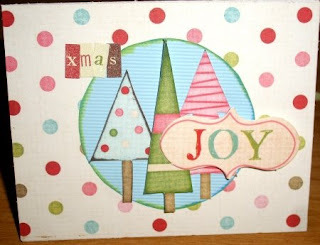 Look at this awesome card that Tamara has created already using the blog header as inspiration! 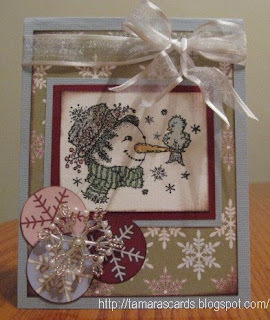 Welcome everyone to the first post at CHRISTMAS CARDS ALL YEAR 'ROUND!!! How do you like the look of the blog! Isn't is amazing!!! Thanks so much to Melissa at Scrapz N Stuff. 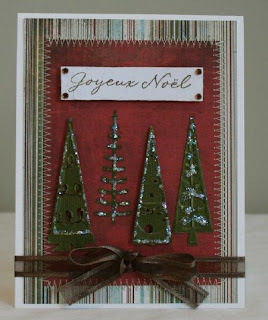 Give her a visit and let her know that she did a GREAT job with the Christmas Card blog !!! 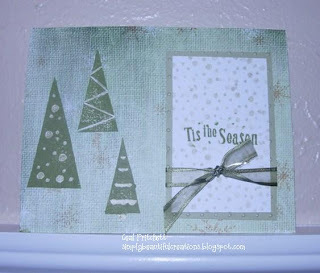 The purpose of this blog is to get you creating CHRISTMAS cards , as it says, ALL YEAR 'ROUND! 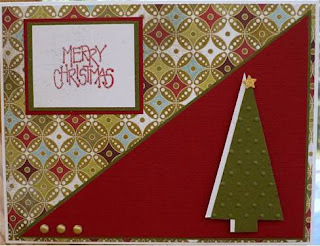 I will be posting more info about this blog as the week goes by, BUT if you'd like to be considered for my Christmas Card Design Team, please create a Christmas card (No!!!!! Really!!!!!!!!!!!) taking inspiration from the blog header and colors! Easy as that! And I'll choose 5-6 people and they will be my Design Team for a 3 month term. (starting in OCTOBER) There are no kits for you to play with, there are no discounts at a store (because I HAVE no store,sorry! hehe! 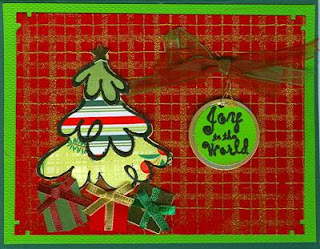 ), there are no other obligations other than create a CHRISTMAS card based on the challenge I send you. There'll only be one card challenge a month. So that's 3 cards a TERM to create for me for the monthly card reveals. Oh, but if you'd like to be entered into the monthly draws that I will be having, you will have to complete 5, yep 5 cards each month to qualify. If you prefer NOT to enter the monthly contest, then its ONE card a month for 3 months! 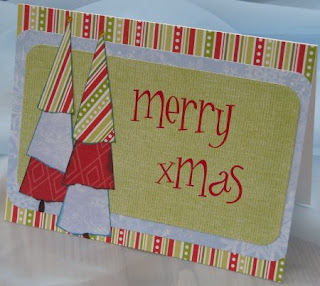 Email me your newly created Christmas card (done especially for this challenge) if you'd like to try for the DT. I will choose a DT on SEPT 17th WEDNESDAY and announce the members on SEPT 18th. More details later as to how the blog will be run and start dates... So add it to your favs, put it in your google reader or subscribe to the blog to be sure to get updates!